Welcome to the Maine Stay Inn & Cottages, a romantic bed and breakfast inn offering historic lodging, contemporary suites, New England hospitality, and the unsurpassed beauty of the rocky coast of Kennebunkport, Maine. Located in the heart of the historic district of Kennebunkport, the Maine Stay is a comfortably elegant historic bed and breakfast inn offering exceptional hospitality. The main house, built in 1860 and former home to sea Captain Melville Walker, is listed on the National Register of Historic Places. Five cottage-style buildings surround an acre of spacious lawns and gardens and house 11 uniquely decorated cottage suites. We are 4 blocks from the shops, restaurants, and galleries of Dock Square, and just one mile from the ocean and sandy beaches. We are one block from the scenic harbor where you will find whale-watching excursions, scenic cruises, lobster catching trips, and schooner day sails. A gourmet breakfast awaits you each morning. 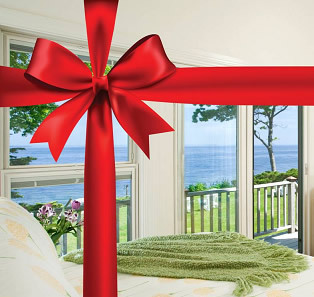 Whether you choose the romance of a Victorian inn room or the privacy of a luxurious cottage suite, The Maine Stay is the ideal base from which to explore Kennebunkport or take day trips to New Hampshire’s White Mountains, Boston, Salem, or up the coast to Portland, Freeport, Boothbay, and Camden. Whether you seek a romantic getaway or a family vacation, the Maine Stay Inn offers exceptional hospitality, personal service, and those little extras not found in chain hotels. Make your next escape a warm memory with a visit to the Maine Stay Inn – a perfect choice. Children Policies: Cottages 8 and 9 can accommodate up to 4 people, other units have an occupancy of 2.